Hundreds of Bohk athletes gathered to fight at the Inner Mongolia International Mongolian Wrestling Invitational held in Xi Ujimqin Banner, Xilin Gol League on Jan 8. Dancers perform at the fourth Chinese Mongolian Dance Competition in Hohhot, North China's Inner Mongolia Autonomous Region, Sept 20, 2015. The Chopsticks Dance is popular in Erdos, Inner Mongolia. It is originally a single men's dance for marriage or festival ceremonies, usually accompanied by a stringed instrument and singing. Wulige'er in Mongolian means 'story telling'. It was formed in the late Ming and early Qing dynasties. Lurigele is a typical folk dance popular among the Daur people, who mostly live in Inner Mongolia and theHeilongjiang Rivervalley. Inner Mongolia's ethnic customs fill the landscapes that sired them. And their true colors come out when the terrain is pelted with white. 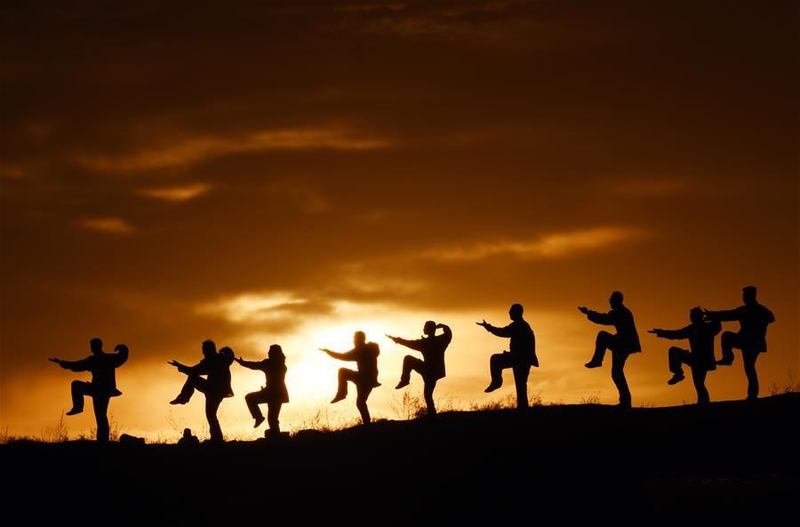 Early on the morning of Feb 20, the enthusiasts created a beautiful scene as they did their exercises against the backdrop of a glorious golden sunrise. 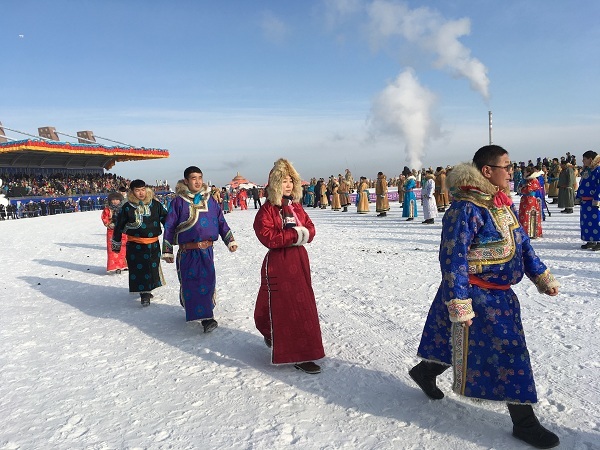 The 14th Ice and Snow Nadam in conjunction with the 7th Art Festival of Mongolian Winter Costumes is being held in Xi Ujimqin Banner, Xilin Gol League, from Jan 5 to 9.